It was former Delhi captain Gautam Gambhir, a member of DDCA's apex council, who proposed a life ban for Dedha during a meeting with DDCA president Rajat Sharma and the selectors. Tainted cricketer Anuj Dedha, who had assaulted former India pacer and Delhi selector Amit Bhandari, has been banned for life by the state association. After being rejected for the state U-23 team, Dedha along with his hired goons had attacked senior and U-23 selection committee chairman Bhandari at the St Stephen’s ground on Monday when a practice game of the senior team was on. The cops later nabbed him and he is currently under police custody. It was former Delhi captain Gautam Gambhir, a member of DDCA’s apex council, who proposed a life ban for Dedha during a meeting with DDCA president Rajat Sharma and the selectors. “Anuj Dedha will be banned for life and the decision was taken at a meeting which was also attended by the selectors and Gautam Gambhir, who is a member of the apex council. We will get the recommendation ratified at a general body meeting,” DDCA president Rajat Sharma told PTI. “Henceforth, Dedha will also not be allowed to play in any club match or any tournament affiliated with the DDCA. “It was Gautam, who mooted the idea of a life ban and also suggested that from now on, no parents, relatives or friends will be allowed to watch the trials. Only the players whether U-14 or U-16 will get entry inside the stadium premises,” Sharma added. Dedha was among the 50 plus Delhi probables for the National U-23 one day meet but missed out on squad selection which irked the player. 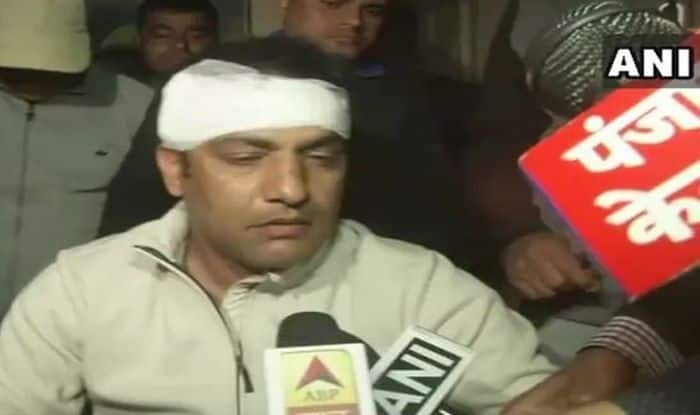 On the day, he and his accomplices attacked Bhandari with hockey sticks, iron rods and cricket bats and Bhandari had to be rushed to the hospital with multiple injuries on his forehead, ear and leg. The DDCA president also explained how Dedha made it to the pruned list of 50 probables from the initial 79, when everyone felt that he was not up to the mark. “He took two wickets in a trial game and his scalps were Manjot Kalra (India U-19 WC star) and Jonty Sidhu (current Ranji player), two well-known players. That’s how he made it to top 50 but all the three selectors said that at no point was he given any assurance of being selected in the final 15,” Sharma signed off.